April | 2013 | Hand Luggage. 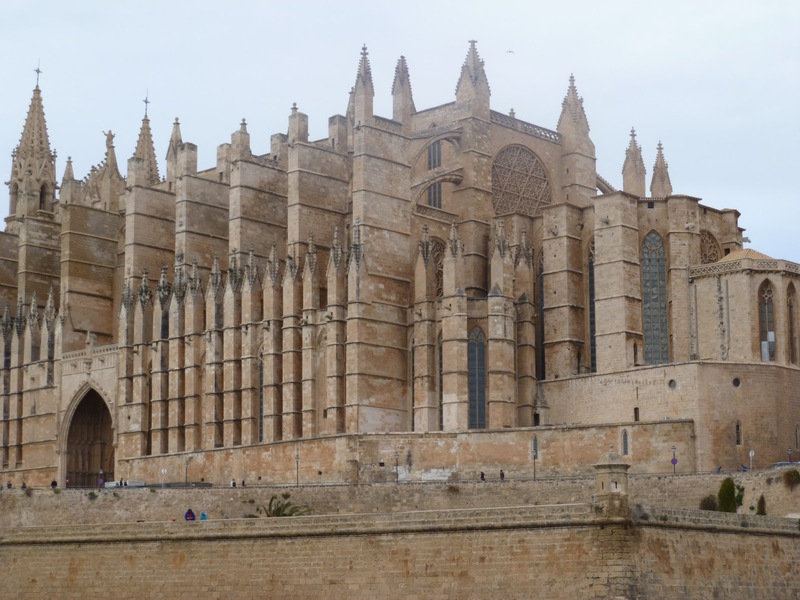 Palma Cathedral, potted history and lots of pics! 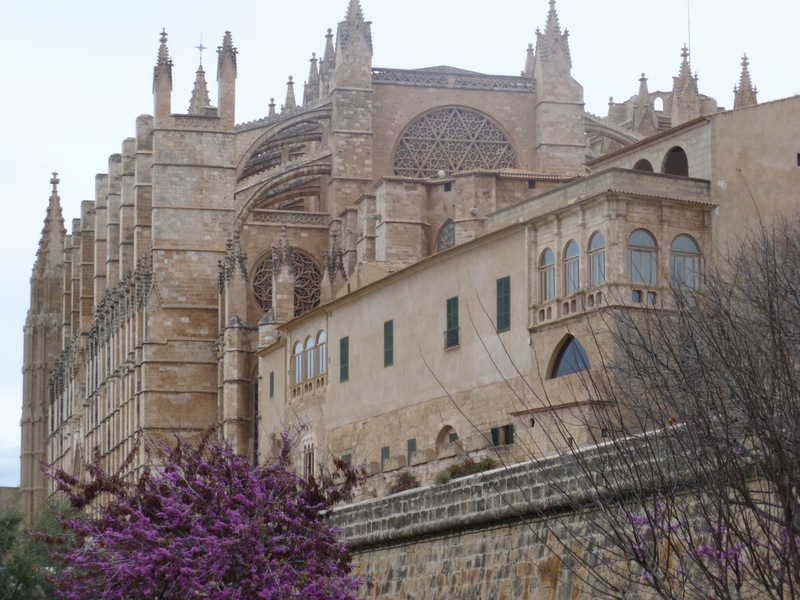 The Cathedral of Santa Maria of Palma, more commonly referred to as La Seu is a Gothic Roman Catholic Cathedral. 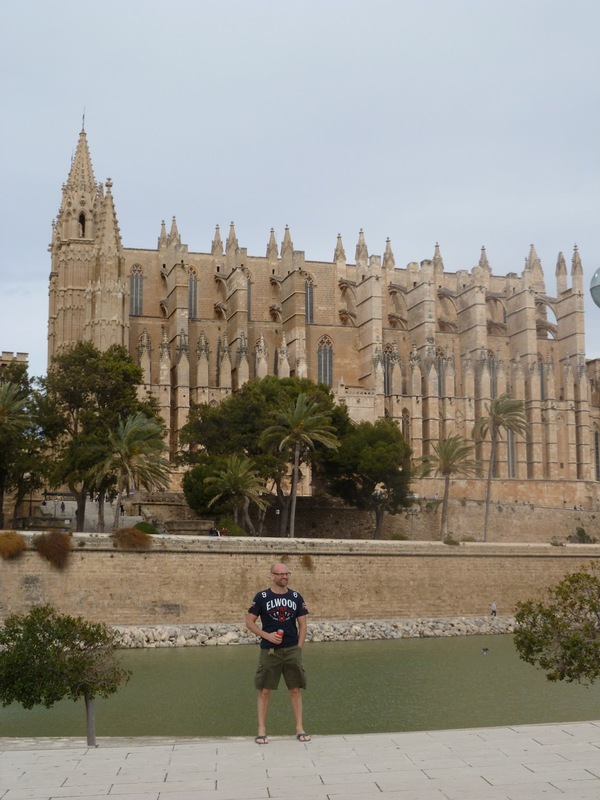 It’s located high above a man made lake that offers spectacular views of the impressive, towering spires of the epic edifice. 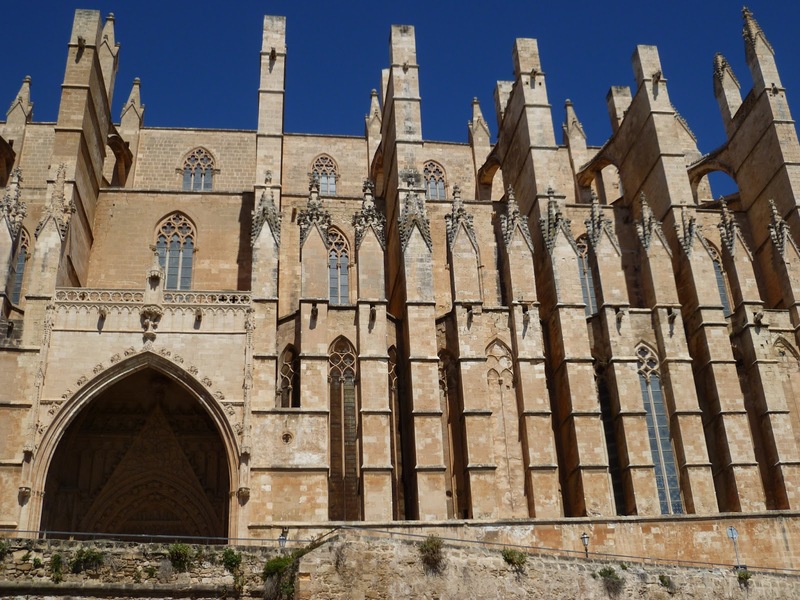 It was started in 1229 but only finished in 1601. 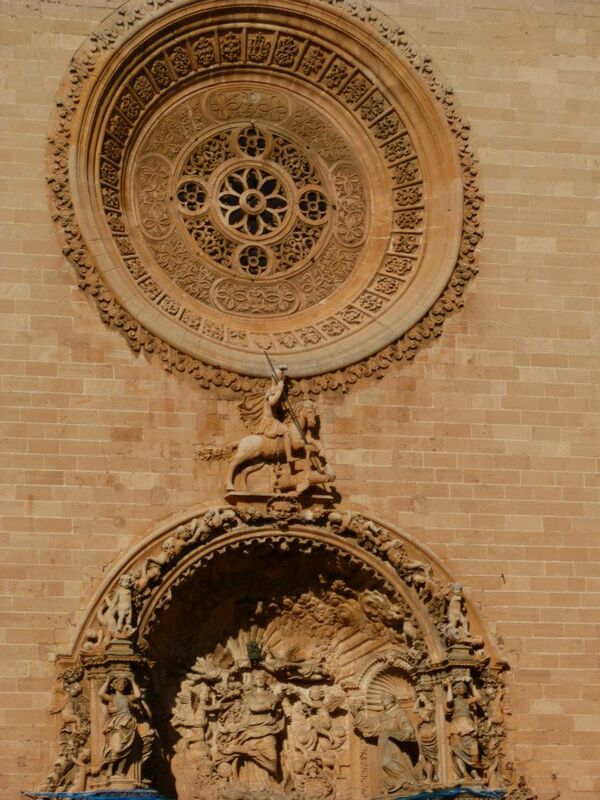 Its glorious golden sandstone exterior is present from every corner of Palma and dominated the skyline from every angle. 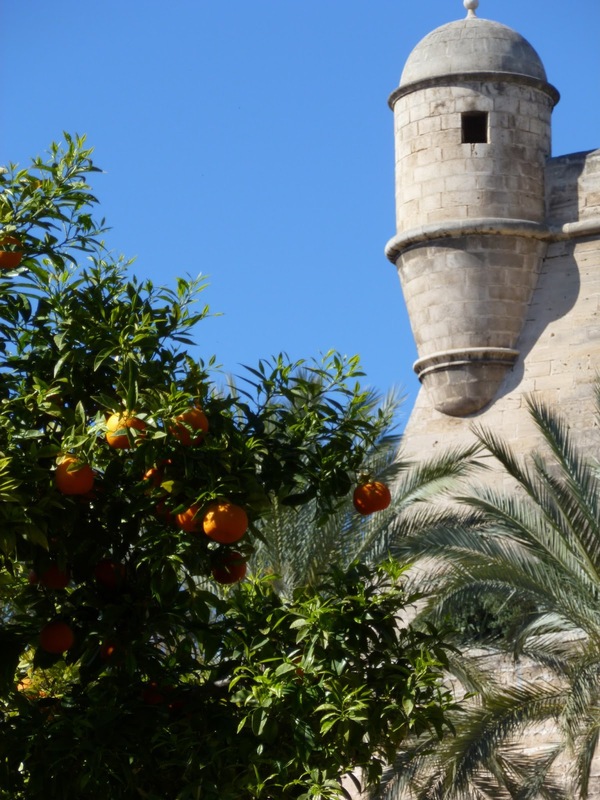 It sits high above the man made Parc de le Mar where Palma residents while away the hours people watching and sunning themselves. 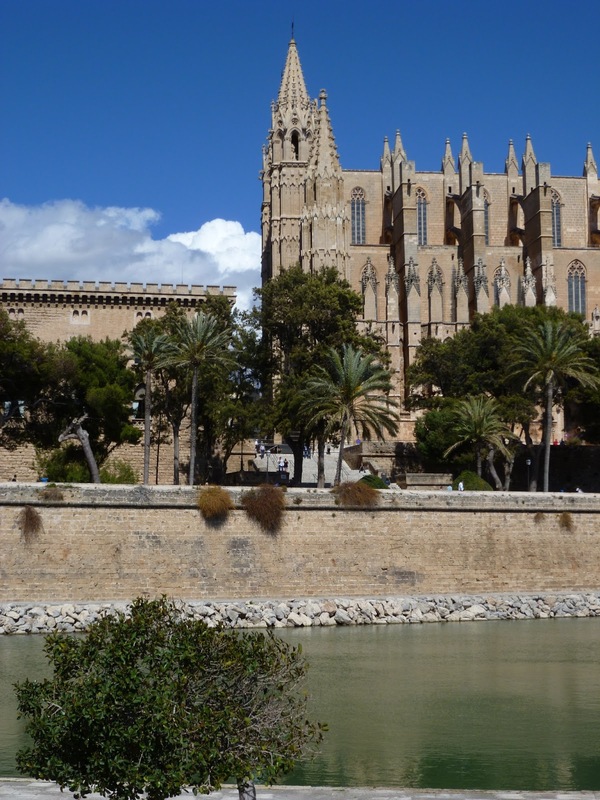 Construction of Palma Cathedral is said to have been ordered by King Jaume I in 1230, just a year after this Christian crusader conquered the island. 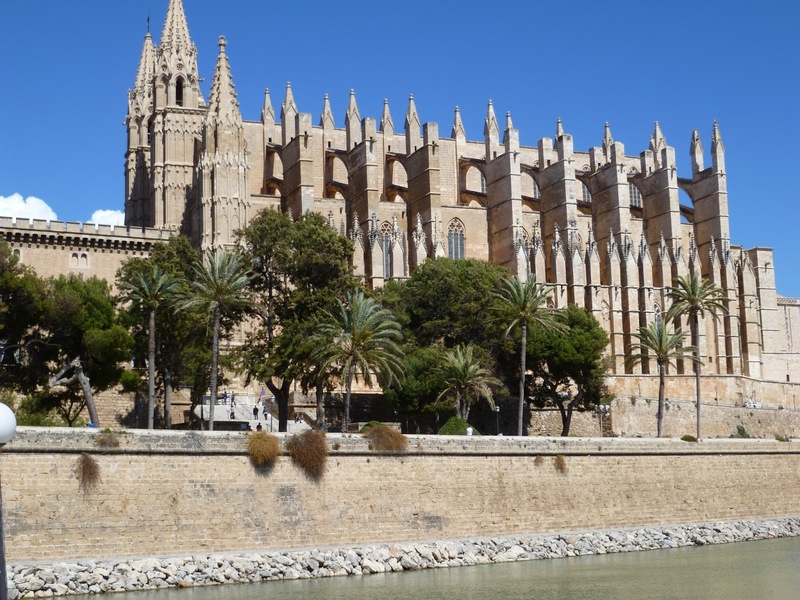 Built on top of a mosque, the process of erecting Palma Cathedral lasted around three hundred years, stretching from 1301 to the seventeenth century. 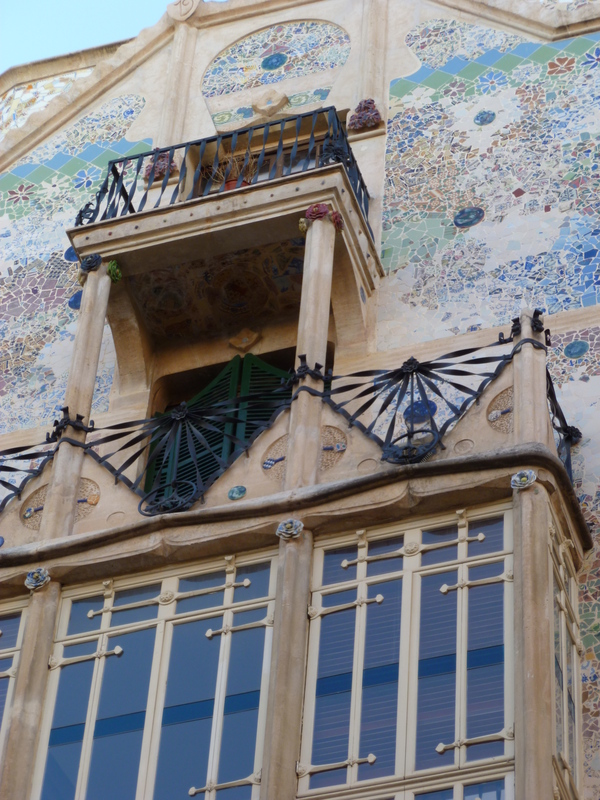 Parts of the Cathedral were designed by Antoni Gaudi, but his contributions are limited as he stopped his involvement due to an argument with the contractor. 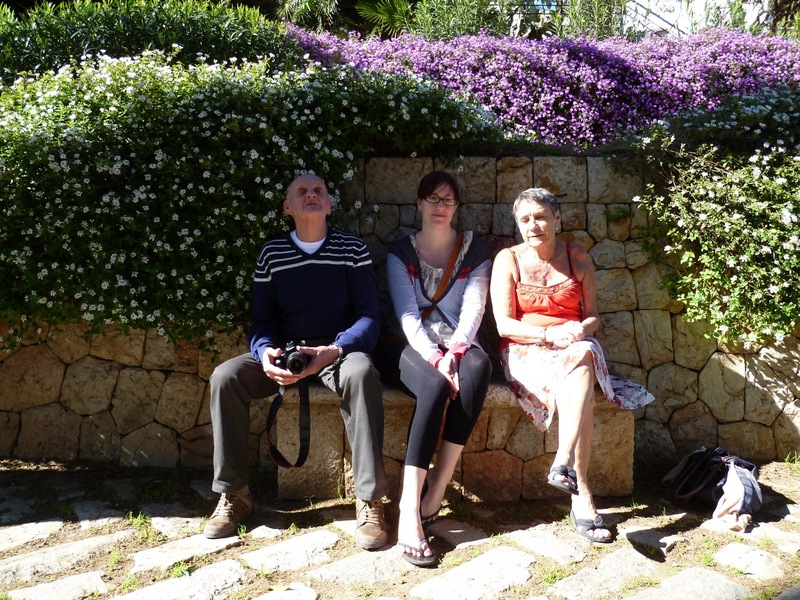 Next up – the wooden train through the mountains to Soller. A step back in time! 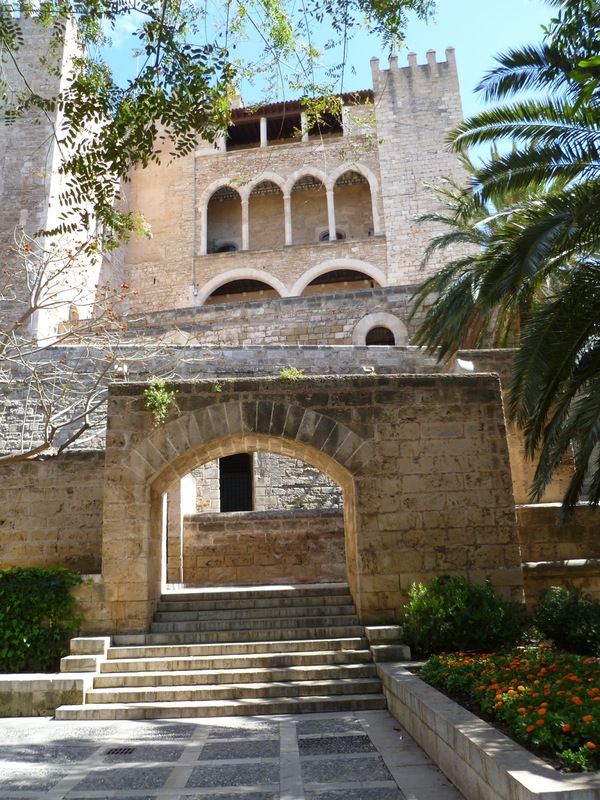 Mallorca 2013 – a big surprise. So it’s been a while bloggers but I am back! 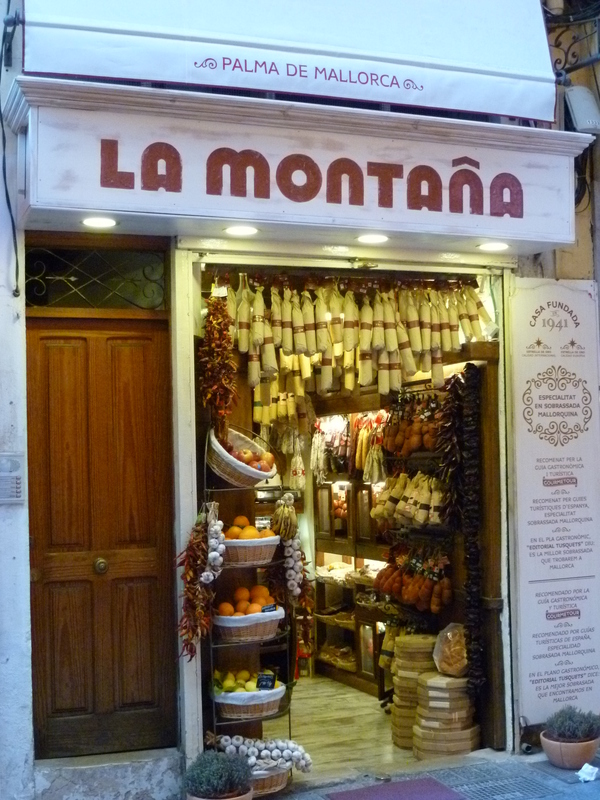 Fresh (sort of) from five days in Mallorca. It’s always been a place I dismissed as just tacky beach destination (yes Magaluff I am looking at you) but the lure of super cheap flights finally hooked me. 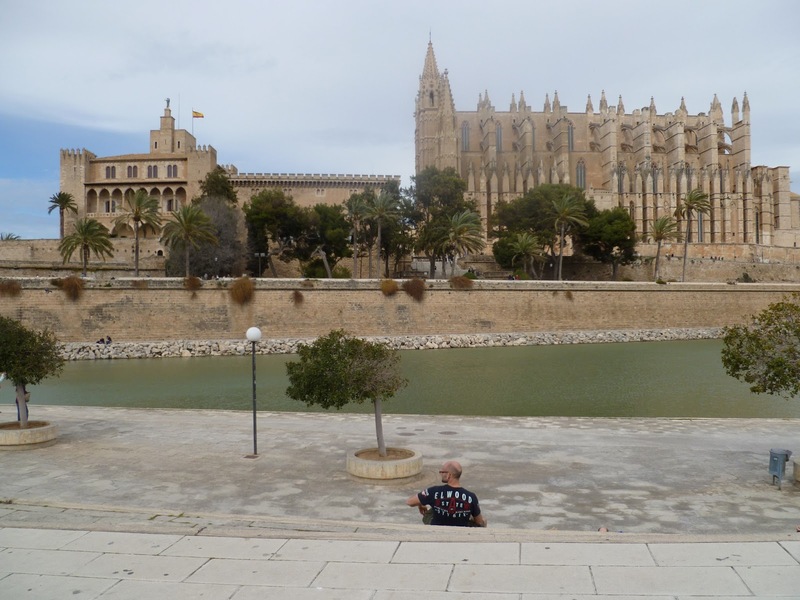 We paid about £80 return from East Midlands to Palma and stayed in the perfectly nice Tryp Palma Hotel. 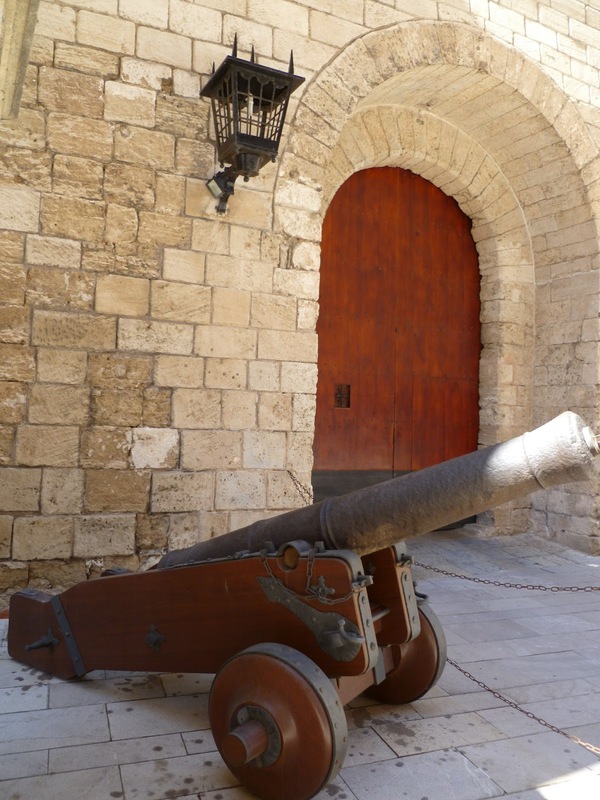 Five minutes walk from Place de Espanya, the main train and bus station and also the dinky toy train to Soller (more of that later) the hotel is perfectly positioned, it’s about a 15 minute gentle stroll to the towering Cathedral and the Royal Palace of La Almudaina. 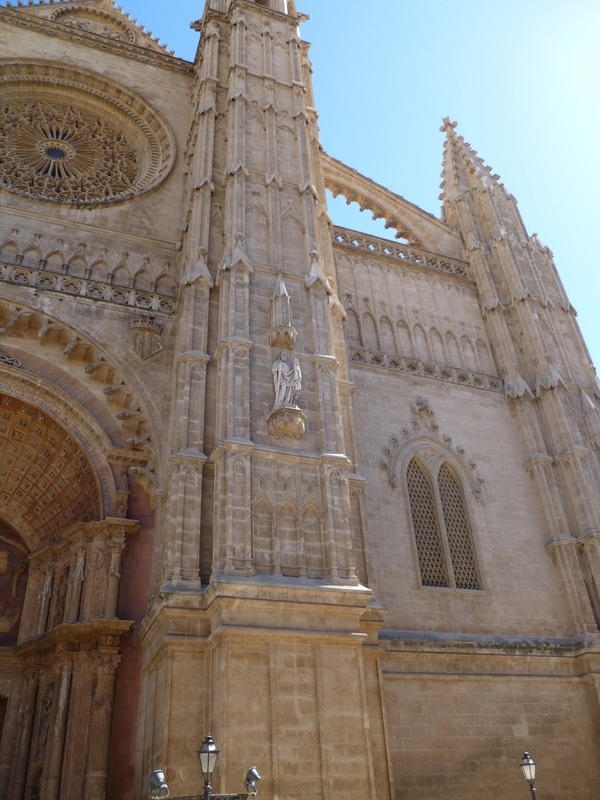 Palma itself was fantastic. 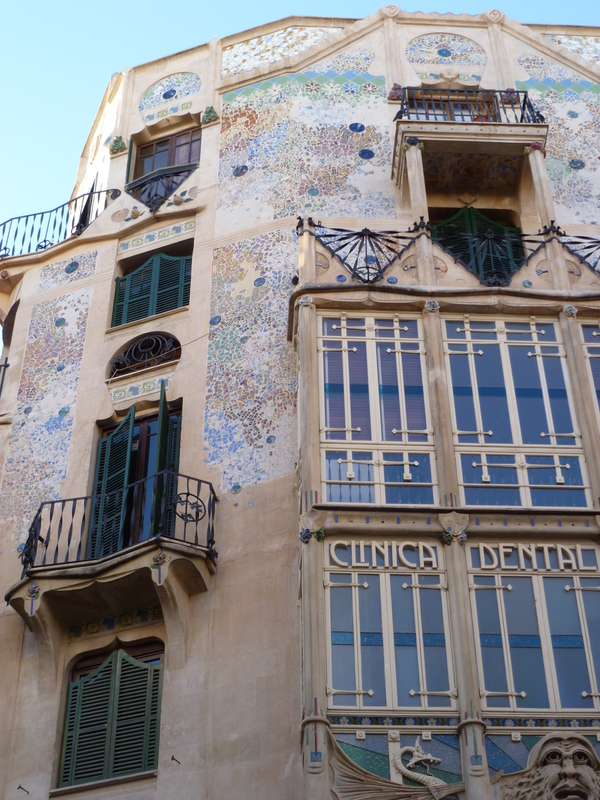 From the old town with its meandering passageways, Arab Baths and unexpected processions to its hidden art galleries and tasty tapas bars. 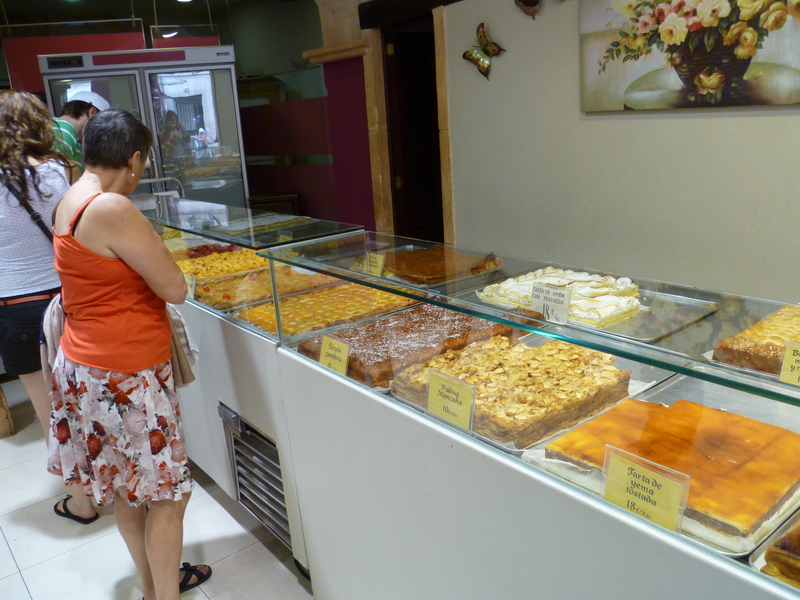 Every other shop seemed to be a cake related heaven, and combined with pizza, ice cream and super cheap beer (from the super market naturally) we troughed our way through the holiday. 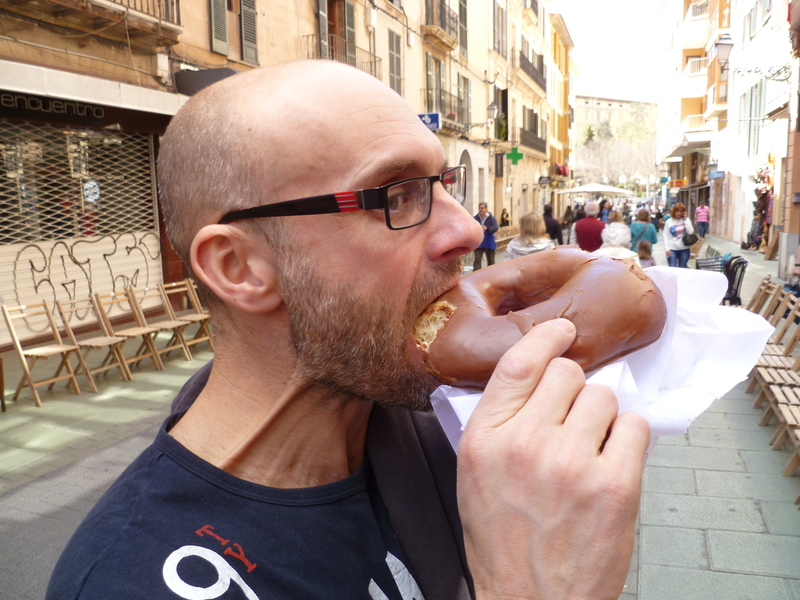 A particular favourite was this giant doughnut – the SIZE OF YOUR HEAD!!!! 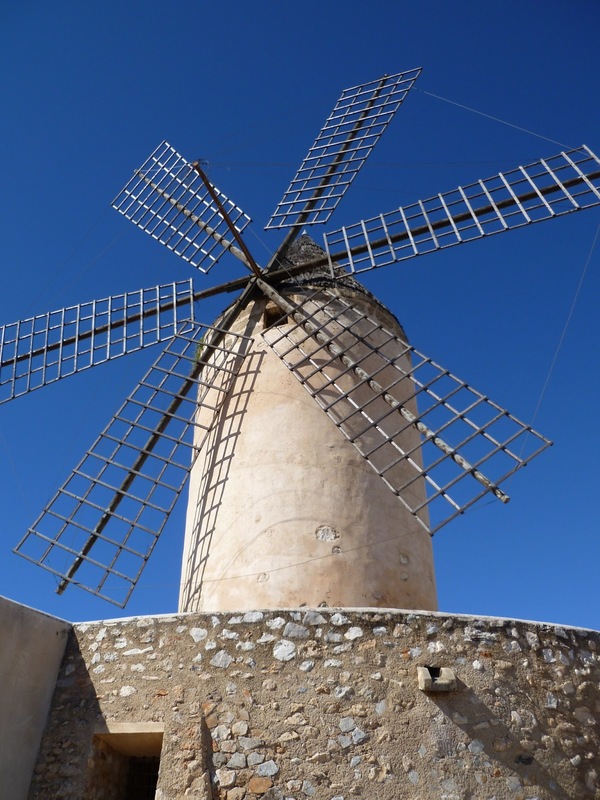 There’s traditional windmills, a circular castle (Bellver) with a stunning view over the city, beaches within a 20 minute drive, culture, art, food, churches and places to aimlessly wander. 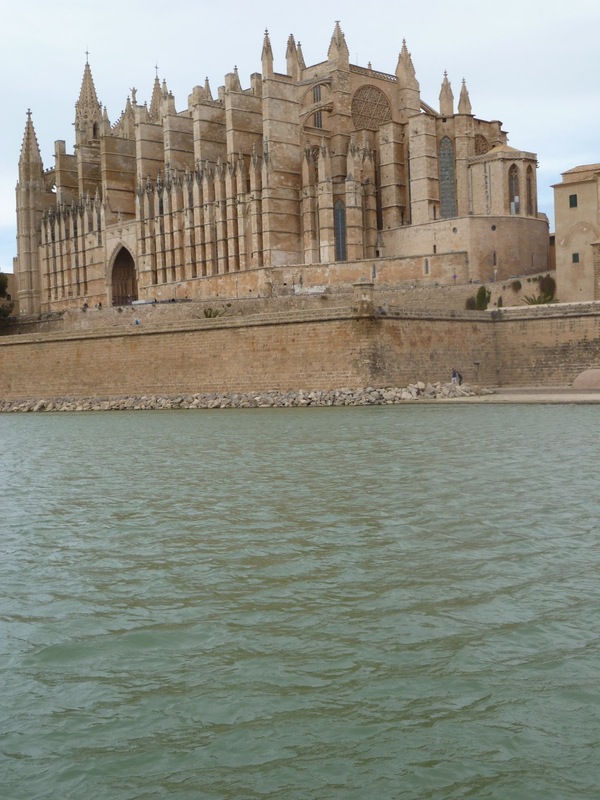 In short Palma was a brilliant place to spend a short break within a two hour flight of the UK. 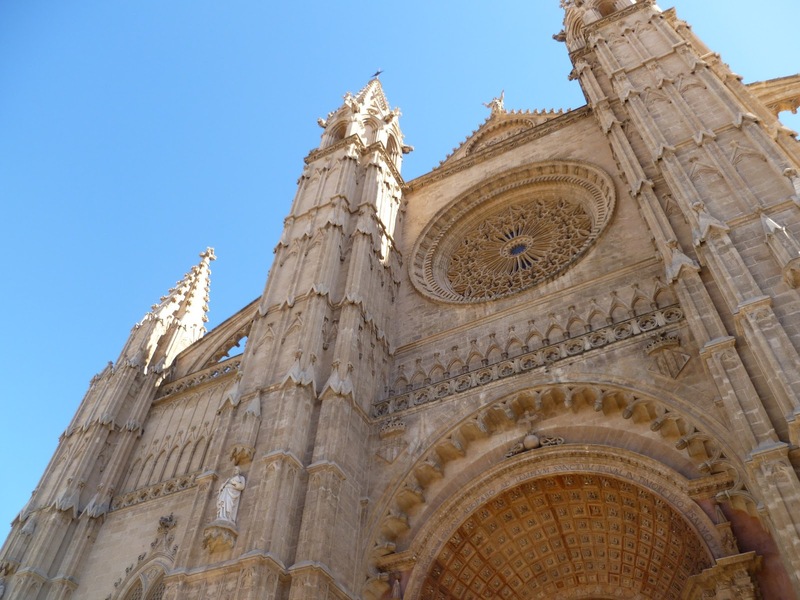 Next up, a closer look at the Cathedral, the little mountain train to Soller and some beaches . . . .